The information related to The Amex EveryDay® Credit Card from American Express has been collected by CompareCards and has not been reviewed or provided by the issuer of this card prior to publication. What customer is this card best for? 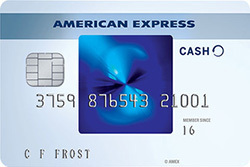 The Amex EveryDay® Credit Card from American Express is an OK no-fee rewards card that primarily benefits grocery shoppers with its rewards design: 2x points at US supermarkets, on up to $6,000 per year in purchases (then 1x), 1x points on other purchases. Compared with other rewards cards, this one offers a lower rewards rate, with competing cards offering as high as 6% cash back at U.S. supermarkets and a flat 2% on all purchases. If you don’t frequently spend at supermarkets, this card isn’t for you and you are better off with other rewards cards or cashback cards. Also, if your goal is to complete a balance transfer or finance a large purchase, you can find cards with longer 0% intro periods that allow more time to pay off your debt. This card offers a unique 20% point bonus you can tap if you make 20 or more purchases in a billing period. This raises the effective rewards rate and can make the card more appealing, since the overall rewards are just OK. Since this is an American Express card, you will benefit from the additional perks like exclusive entertainment access that can allow you to purchase hard-to-get tickets. The rate you receive on noneligible supermarket purchases and everything else is below average (we consider 2% or two points ideal). You can find other rewards cards or cashback cards that offer higher rates. 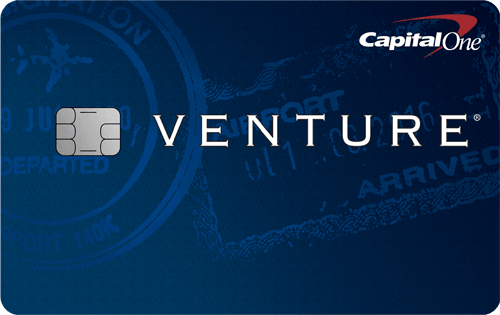 This card also charges a foreign transaction fee of 2.7% of each transaction after conversion to US dollars. This makes the card less than ideal for foreign travel. Roadside Assistance Hotline: Call the hotline to receive emergency services such as towing, changing a flat or boosting a battery while you’re in the U.S., Canada, Puerto Rico and the U.S. Virgin Islands. Third-party service costs are your responsibility, and there are some vehicle and road exclusions. ShopRunner: This feature allows you to save on shipping at over 140 online retailers. Eligible items receive free two-day shipping. Exclusions apply; learn more at shoprunner.com/amex. Exclusive entertainment access: American Express offers top-notch access to ticket presales as well as exclusive cardmember-only events. Some events include Broadway shows, concert tours, family and sporting events, and more. Offer valid in select cities. Fraud protection: Any unauthorized charges on your account won’t be your responsibility. To get the most value from The Amex EveryDay® Credit Card from American Express use it for all of your supermarket spending. This will allow you to enjoy the higher rate on these purchases. Also, be sure to make at least 20 purchases during each billing period to earn the 20% points bonus. This can increase your rewards rate. To maximize your rewards, pair this card with a flat-rate card like the Citi® Double Cash Card – 18 month BT offer that earns a high rate on everyday purchases. Use the Special Offer to increase your rewards within the first several months of card membership by fulfilling the requirements: 10,000 Membership Rewards® points after you use your new Card to make $1,000 in purchases in your first 3 months. Those who plan on taking advantage of the 0% intro APR periods should make their purchase or transfer as soon as possible to enjoy the majority of the intro period. The Amex EveryDay® Credit Card from American Express rewards grocery shoppers by offering 2x points at US supermarkets, on up to $6,000 per year in purchases (then 1x), 1x points on other purchases. In addition, if you make 20 or more purchases with your card in a billing period, you earn 20% more points on those purchases, less returns and credits. It typically takes eight-12 weeks after the billing period in which you make the 20 or more eligible purchases to see the additional points. Terms and limitations apply. This is a good way to increase your points and makes the effective rate 2.4X and 1.2X, respectively. Membership Rewards® points can be redeemed for rewards from over 500 leading brands in travel, gift cards, merchandise or entertainment. You can easily pay with points at ticketmaster.com and amazon.com. Also, you can transfer points to a selection of frequent traveler programs— but be aware: For each conversion of points into the frequent flyer program of a U.S. airline, there’s a fee of $0.0006 per point, with a maximum fee of $99, will be charged to your account. The Membership Rewards® Pay with Points feature lets you use points when you book with American Express Travel, without worrying about blackout dates or seat restrictions. Membership Rewards® points can also be used as a statement credit toward eligible charges you make on your card, such as retail, dining, entertainment and more. In addition to rewards, there is a Welcome Offer to new cardholders: 10,000 Membership Rewards® points after you use your new Card to make $1,000 in purchases in your first 3 months. This provides the chance to increase your rewards in the early months of card membership. The Amex EveryDay® Credit Card from American Express and the Blue Cash Everyday® Card from American Express may sound like similar cards, but they differ in several key ways. The both offer different rewards programs and earning rates. The Amex EveryDay® Credit Card from American Express offers Membership Rewards® points at 2x points at US supermarkets, on up to $6,000 per year in purchases (then 1x), 1x points on other purchases. while the Blue Cash Everyday® Card from American Express offers cash back in the form of Blue Cash Reward Dollars at 3% cash back at U.S. supermarkets (on up to $6,000 per year in purchases, then 1%). 2% cash back at U.S. gas stations and at select U.S. department stores. 1% cash back on other purchases. 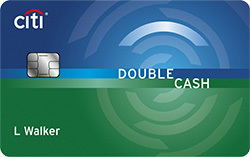 It’s clear that the Blue Cash Everyday® Card from American Express will earn you more rewards due to its higher cashback rate for supermarket and gas spending, however the card that you choose depends on whether you want to earn rewards or cash back— since you have more redemption options with a cashback card. Balance Transfer Fee $0 balance transfer fee. Either $5 or 3% of the amount of each transfer, whichever is greater. Rewards 2x points at US supermarkets, on up to $6,000 per year in purchases (then 1x), 1x points on other purchases. 3% cash back at U.S. supermarkets (on up to $6,000 per year in purchases, then 1%). 2% cash back at U.S. gas stations and at select U.S. department stores. 1% cash back on other purchases. Sign Up Bonus 10,000 Membership Rewards® points after you use your new Card to make $1,000 in purchases in your first 3 months. $150 statement credit after you spend $1,000 in purchases on your new Card within the first 3 months. Foreign Transaction Fee 2.7% of each transaction after conversion to US dollars. 2.7% of each transaction after conversion to US dollars. The Amex EveryDay® Credit Card from American Express is a below-average rewards card, since you can get a higher rewards rate for supermarket and everyday spending with other cards. However, making at least 20 purchases in a billing period can raise your point earnings and make this card a decent option for supermarket purchases. Southwest Credit Card review: Is the Premier worth the $99 annual fee?